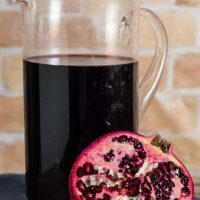 Spiced pomegranate red wine punch is a delicious cocktail for holidays and average days alike. Serve it warm or cold, garnished with a twist of orange rind. While Spring produce seems to get the lion’s share of attention — think pea shoots and fiddlehead ferns — Fall’s fabulous produce is sandwiched between the glut of pumpkin recipes for Halloween and the sweets-heavy holiday season. So, this year, a dozen food bloggers have gathered to share recipes and ideas that celebrate the #FabulousFallBounty. Many thanks to our event sponsors: Silpat for a handy silicone mat; Le Creuset for a lovely serving platter; and Melissa’s Produce for providing the bloggers with a beautiful box of goodies. So far this month, we’ve talked turkey, sides, and dessert, but no holiday meal is complete without a cocktail. 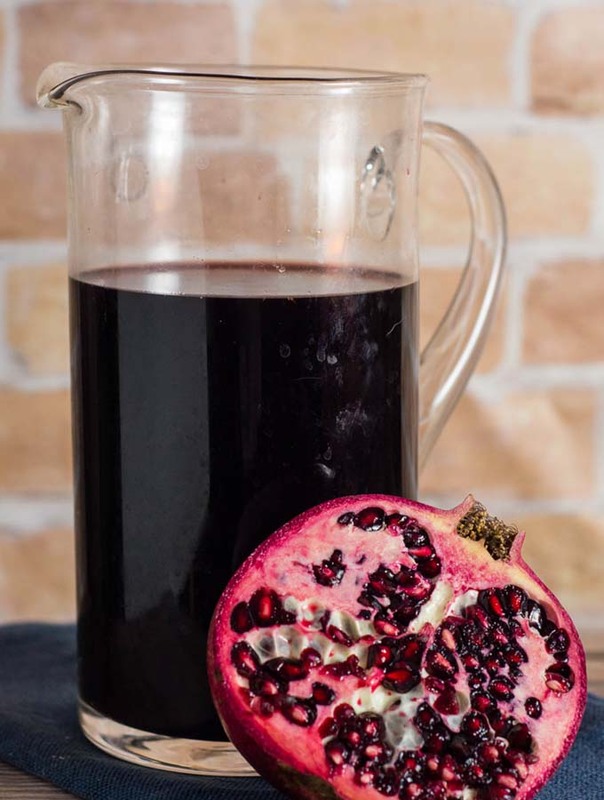 This red wine punch is flavored with warm spices and autumn fruit. You may have seen fresh pomegranates at your local grocery store. If you cut one open, you’ll see hundreds of arils attached to a white membrane or “pith” inside of the fruit. The pith is very bitter, and should be discarded. The juice is stored inside the arils. I highly recommend wearing an apron while working with a fresh pomegranate, as the dark red juice stains easily. There are many methods for removing the arils from the pomegranate. I prefer holding half of a pomegranate, cut side down, over a bowl of water. Whack (yes, whack — it’s a technical term) the back of the pomegranate with a wooden spoon. Allow the arils to drop into the water. When you’re finished, skim any floating bits of pith from the top of the water. Drain the water, and you’re left with delicious arils. To juice the pomegrante, cut the other half into sections. Place them in a blender, and pulse a few times. Place a sieve over a bowl, and pour the contents of the blender into the sieve. Discard the solid bits in the sieve, and pour the juice into your punch. 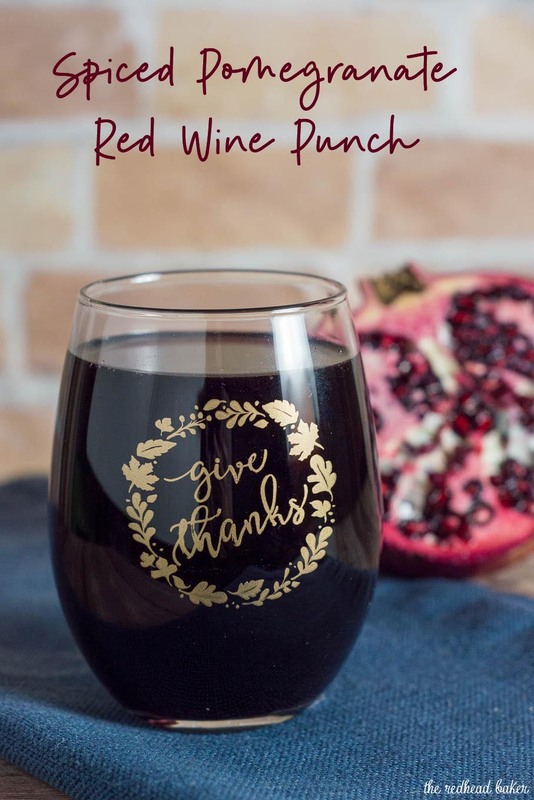 This red wine punch is delicious either cold or warm. 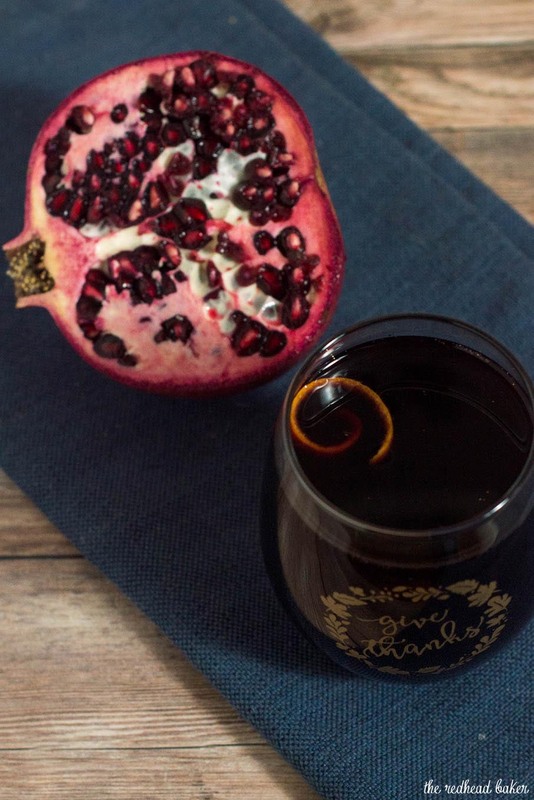 Garnish with a few fresh pomegranate arils and a strip of orange rind. If you prefer to serve it warm, you can keep it in a slow cooker set to warm. Place the water, sugar, cloves, orange rind and pomegranate seeds in a small saucepan over medium-high heat. Bring to a simmer, stirring occasionally, until the sugar dissolves. Turn off the heat, and allow the mixture to cool. 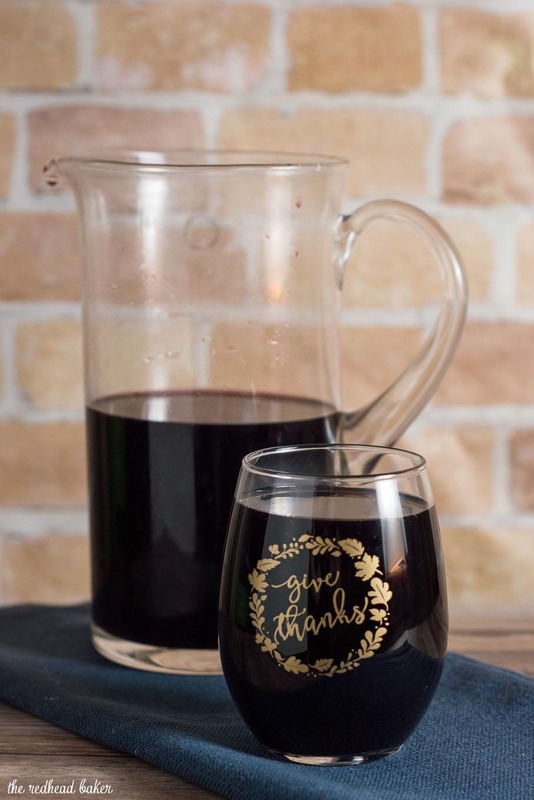 Pour the red wine into a pitcher. 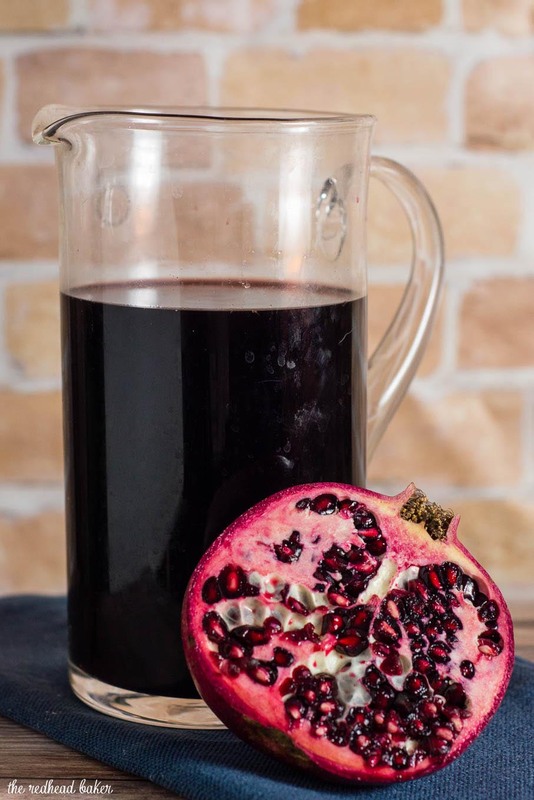 Strain the syrup into the pitcher, discard the solids, then add the pomegranate juice. Stir. Store in the refrigerator until ready to serve. If you prefer to serve warm, pour the punch into a large saucepan set over medium-low heat just until warm. Way to finish off the week Coleen.